Pouteria splendens is an endemic endangered tree from central Chile. Natural regeneration in the species seems to be low and its distribution is restricted. We investigate seed dispersal and survival. Results indicated a low distance of seed dispersal, and the presence of leaf litter covering seeds increased survival. We suggest that future conservation programs should focus on protecting both adult plants and leaf litter under trees. Many years of forestry practice have confirmed that Cryptomeria fortunei can be cultivated in central Guizhou Province of China on a large scale, and this will continue due to its good growth performance and excellent development potential. The generalized height–diameter models proposed in the current paper will help forest managers to reduce costs and save time during the inventory, monitoring, and management for these forests. Many practices have been proposed in conservation education to facilitate a re-connection between nature and young digitally dependent people in anthropized contexts. In this paper we suggest that, at least in some specific circumstances (urban and suburban areas), non-native invasive species may have a paradoxical and positive impact on conservation education strategies, playing a role as an experiential tool, which represents a cultural ecosystem service. We conducted a greenhouse experiment with wild radish plants and found a multigenerational effect of herbivore induction on palatability for generalist slugs but not specialist caterpillars, and that the order of these inductions seemed to be important. These results are potentially meaningful for plant–herbivore ecology and evolution because a plant's ability to defend itself may be influenced by multiple previous generations and this may depend on the type of herbivore. If during a sunny day you spot the thousands of bright yellow flowering acacias on the coast of Portugal, then ask yourself who is spreading all of that pollen around! Even if the most common answer would be bees , when the acacia flowers it is still quite cold for them. 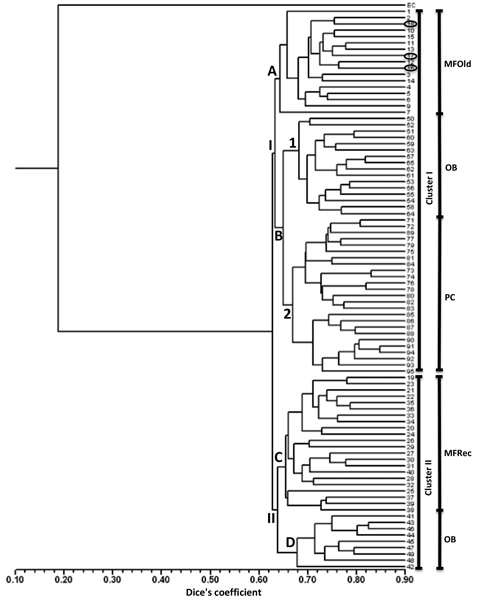 This study highlights the so far neglected role of wind in acacia seed setting, arguing the influence this may have on acacia invasiveness and theories of pollination strategy evolution. We studied the effect of abandonment of extensively managed semi-natural grasslands on indicators of ecosystem services (ES) and found both positive and negative effects. 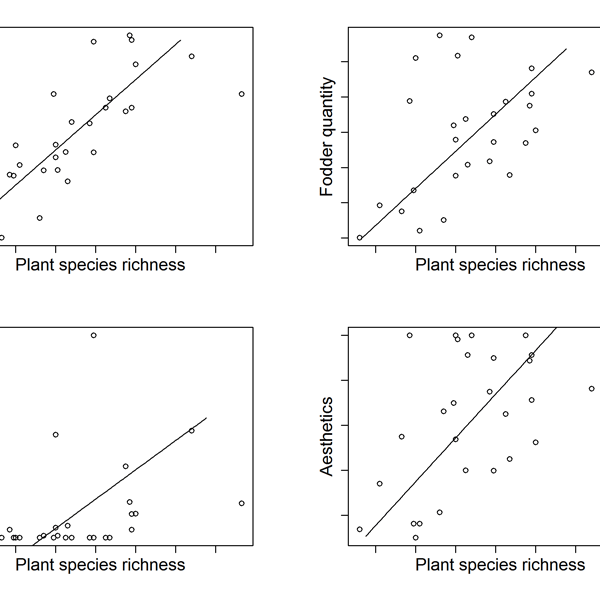 We also studied relationships between ESs and plant species richness and whether abandonment affect these relationships. For several ESs we observed positive relationships. 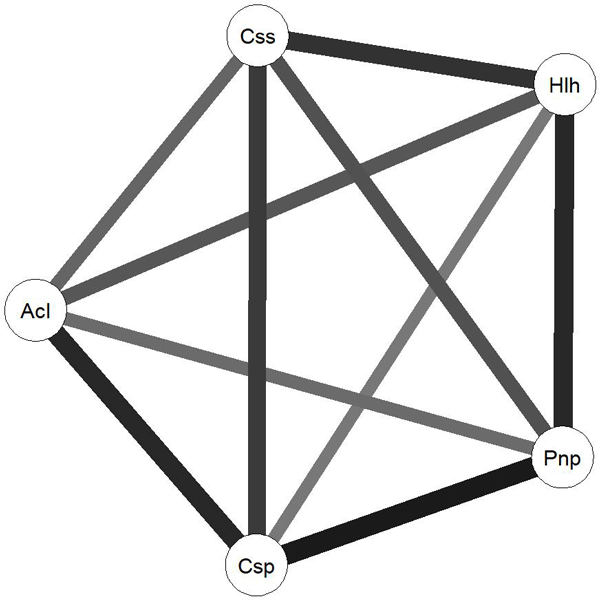 However, the relationships differed often between the abandoned and managed grasslands because the relationships were less pronounced in the managed. This study, conducted in central Portugal, shows that Eucalyptus globulus seeds are highly attractive to local fauna, including ants and rodents. Surprisingly, E. globulus seeds were as attractive as the exotic Acacia dealbata seeds and more attractive than the native Cistus salviifolius seeds. 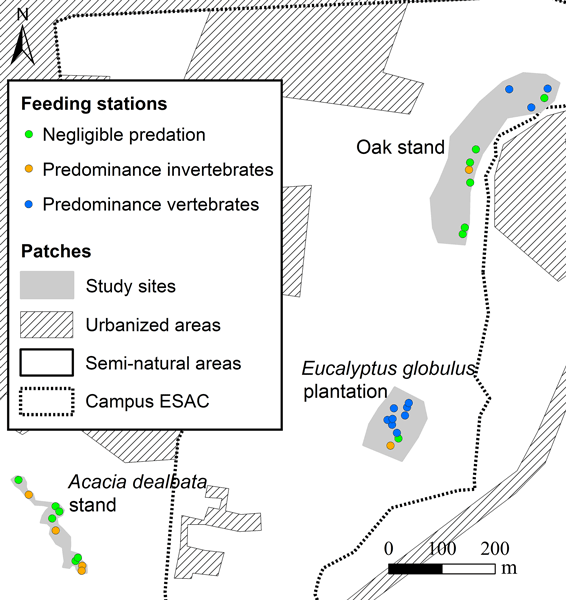 However, locations with negligible seed predation were abundant across the study area, which may help to explain the heterogeneous recruitment patterns of E. globulus seedlings found in previous studies. In the absence of mosquitoes, diseases such as Malaria and Yellow fever will not exist. Although mosquito larvae have been identified to be a non-selective food to dragonfly larvae, it is unclear if the two naturally co-exist, hence reported as a non-viable strategy for controlling mosquito populations. However, a simple experiment in tropical Africa has shown a significant reduction in mosquitoes following colonization of mosquito larvae habitats by the dragonfly, Bradinopyga strachani. Acacia longifolia is an aggressive invader worldwide, which was brought to Portugal by the forestry services and spread throughout the country with very strong ecological and social impacts. We used a molecular approach to understand the genetic variability and genetic differentiation. Our analysis showed that populations at all sampled locations have similar levels of diversity and relatively low differentiation, suggesting a single original introduction and a subsequent acclimation process. Maritime pine forests are a major ecosystem throughout the Portuguese coast and are severely affected by Acacia longifolia invasion. The presented study investigated the diversity of ectomycorrhizal fungi of major plant species in these ecosystems to find possible links between them. We successfully identified 13 fungal taxa and common taxa between all plant species. The finding that Acacia shares symbionts with native plant species is a new facet of its invasive ecology.